North-Korean Border, has bilingual signs and scenes, is home to some 1.7 million Ethnic Koreans and is counted as one of the Cultural Highlights of the Province. Although rarely visible, the North Korean refugees in North China often pass through Yanbian Prefecture, and the views of the Tumen-Namyang Railway Bridge are among the worlds notorious news scenes. Yanbian Prefecture cannot be missed when on a cultural tour of Jilin ! Although the Mongolians are among the largest Ethnic Groups in China, who are scattered throughout the North and North-Eastern Provinces, there are some especially noteworthy Mongolian Cultural Events to witness in West Jilin Province ! For More Details on Ethnic Mongolian Autonomous Regions, Prefectures and Townships - Click Here ! 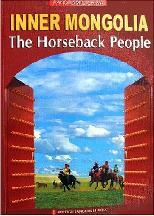 "Inner Mongolia - The Horseback People"
The Manchu are the second largest Ethnic Minority Group in China after the Mongolians. The Manchu People mainly reside in the North-Eastern Regions of China, in the past collectively known as Manchuria. 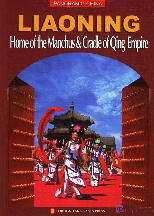 The main concentrations of Manchu are found in the Capital City of Liaoning Province at Shenyang. The Manchu are however widely scattered throughout North-East China and live in several autonomous districts in Jilin Province (Siping Prefecture and Yitong Manchu Autonomous County), in Hebei Province and Liaoning Province. 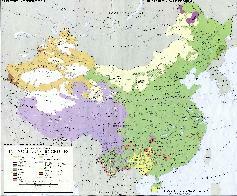 According to the Year 2000 AD National Census there were 5.813.900 Manchu living within Chinese Borders. The First Manchu Ethnic Community in Jilin Province can be found near Siping, a industrial- and railway-city located in the south of the Songliao Plain in south-west Jilin along the South-Manchurian railway line. The City lies about halfway between Shenyang and Changchun, the Capital of the Province. The City of Siping has 2.8 million citizens and is a key material distribution center and a confluence of railroads radiating in all directions in northeastern China. As an important railway crossing in Manchuria the City was hotly contested by China, the Japanese and the Russians in the Colonial Age and World War II. Located at some distance of Siping in southeastern Lishu County, the ancient town of Yehe is a well-known tourist spot and the native Home of the Manchu Ethnic Group. In fact: according to folk tales, Yehe, which in Manchu Language means "the sun by the riverside", is the very place where the Manchu ethnic group originated. The renovated town of Yehe is positioned on a hill overlooking Zhuanshan Lake of eastern Yehe. The village is surrounded by water on all sides, and the hill and the lake enhance each other's beauty. Buildings inside the town of Yehe are arranged according to the terrain and decorated with exquisite carvings, showing the cultural features of the Manchu's. To find out more about the folk customs of the Manchu and/or their remaining Culture, a visit to the village of Yehe is a good way to start. The enchanting atmosphere and surroundings of the small village make for an excellent, somewhat idyllic getaway from the Industrial Cities of the North. Explore the surrounding lands, enjoy manchu song and dance and immerse yourself in the history and customs of the Manchu Ethnic Group while enjoying the City Scenes. The Second worthwhile Manchu Ethnic Community in Jilin Province can be found nearby Siping at Yitong County. 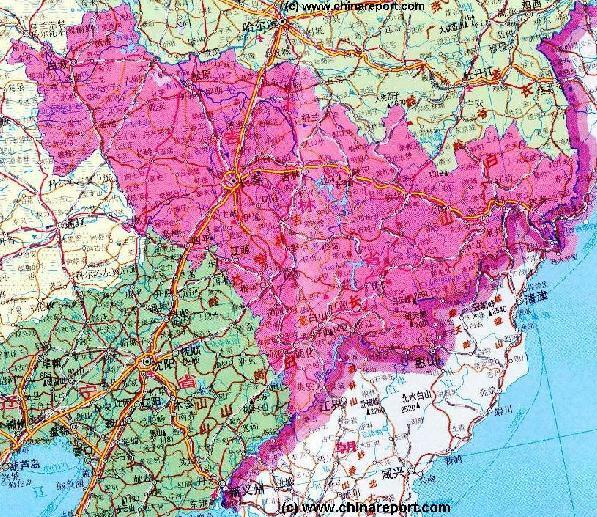 The Manchu Autonomous County of Yitong (伊通满族自治县; Pinyin: Yītōng mǎnzú Zìzhìxiàn, Manchu: Itung Manju Zijysiyan) is an administrative subdivision of the Province of Jilin in China. It is placed under the jurisdiction of the city-prefecture of Siping and is located at quite some distance to the North-East of Siping City. Yitong Town, the Capital of the Manchu Autonomous County can be reached from Changchun by highway or Train. The population of the county was of: 473842 inhabitants in 1999 AD, among which a high percentage of Ethnic Manchu. No recent numbers are available. For those visiting especially for the Manchu Minority, a tour of the local Yitong Manchu Folk Custom Museum is a must ! The Korean ethnic group lives mainly in the cities of Yanbian Korean Prefecture, Jilin City, Tonghua and Baishan; the Mongolian ethnic group and Xibe (or Xibo), in Baicheng and SongYuan; the Manchu and Hui, in Changchun, Jilin, Tonghua and Siping. Apart from these larger communities there a further 33 townships and towns under local administration by the minorities inside of Jilin Province. The Third and last worthwhile Ethnic Community to visit in Jilin Province is Qianguo’erluosi Mongolian Autonomous County, the home of the Eluosi in Jilin Province. 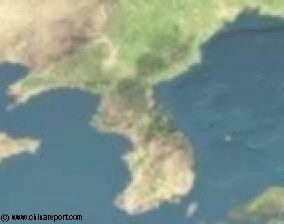 Ethnic Manchu Autonomous Regions, Prefectures and Townships - Click Here !